For professional office interior design services in Tampa, Florida, or a nearby area, look no further than the experts at Reusable Office Interiors. We can help you create an impressive office that will enhance both the aesthetics and functionality of your professional space. 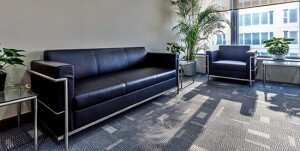 Whether you want to update one room or your entire office, our skilled designer can expertly handle the job for you. In addition to our office interior design services and being able to provide you with trendy furniture at a great price, we can also deliver and install of the office furniture for you. Our skilled technicians will ensure that your office is fully set up and put together in a timely manner so that you can get back to business in no time. For more information on the office interior design services we offer, contact Reusable Office Interiors today. Our specialists are available to answer any questions you have and can tell you more about all of the outstanding products and services we have available for business owners in Tampa, FL, and surrounding communities.